Stowing and charging earbuds in an iPhone battery case. 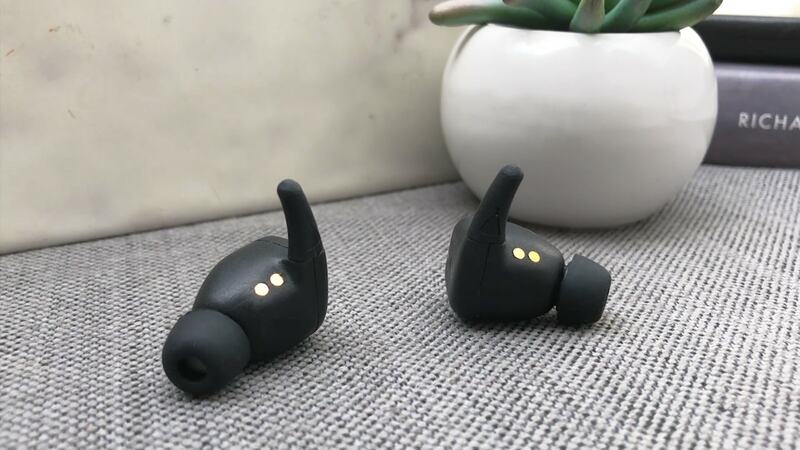 Wireless earbuds are great but with this statement comes a couple of asterisks. Careful stowage is critical or risk losing one. Remembering to charge Bluetooth buds is not quite second nature. 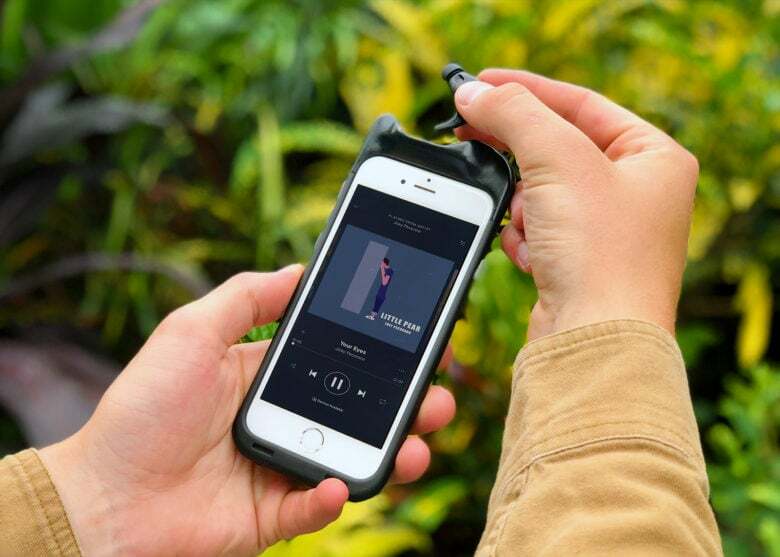 Ascape Audio aims to remove the asterisks with an earbuds/smartphone case combo called SoundFlow. It is a protective battery case that provides plenty of juice for your iPhone and the dedicated earbuds. When not in use, the earbuds reside and charge in a discreet cradle at the top of the case. SoundFlow is available for pre-order on the crowd-funding site Indiegogo for $99 (earbuds with charging dock only is $59). Ascape Audio anticipates delivery to backers by December in time for the holidays. Earlier this year, Ascape Audio launched it on Kickstarter under a different product name. Despite exceeding its fundraising goal, the company said it canceled the campaign to add newly released components to make it a better product. The SoundFlow earbuds are available as part of a protective iPhone battery case or with a charging dock. Early reviews praised the practicality as well as the quality of sound flowing from the earbuds. There are also touch controls on the earbuds to adjust music and take calls. Should an earbud get misplaced, SoundFlow has an app that will find within 1,000 feet. If the missing bud still doesn’t turn up, Ascape Audio will replace within two days for $20.